Because you care about your cat, you want snacks that contain quality, natural ingredients, without grains or artificial colors, flavors or preservatives. With Beyond Natural Grain Free Cat Snacks , each batch is made with natural ingredients and no grains. So you can stay true to your standards for ingredients that are both high-quality and great-tasting. 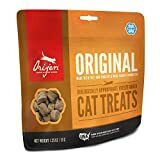 ORIJEN’s Biologically Appropriate Original Cat Treats are delicious and nutritious treats you can feel good about giving to your cat. These wholesome, freeze-dried cat treats are made with 100% meat, including free-run chicken and turkey, and wild-caught monkfish. Our formula-matched cat treats have the same trusted ingredients that go into our signature foods. The treats are gently freeze-dried to lock in nutrients, flavor, and aroma, giving them a natural and savory taste that your cat will love.ORIJEN’s Biologically Appropriate Pet Treats strive to mirror the diet your cat evolved to eat. Prepared exclusively in ORIJEN’s privately owned DogStar Kitchen, these freeze-dried cat treats feature raw, regional ingredients that are harvested by people we trust and delivered directly to our kitchen. ORIJEN cat snacks also follows the WholePrey philosophy, featuring whole animal ingredients that mirror what an animal would eat in nature. 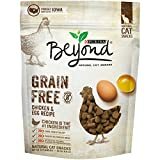 It contains appropriate ratios of meat, organs, and cartilage or bone, with none of the grain, tapioca, or plant protein concentrates that typify conventional cat treats. The result is a healthy, meaty cat treat that’s loaded with a variety of raw meats, gently freeze-dried so they retain all their natural goodness. (3 Pack) Feline Greenies SMARTBITES Hairball Control, Chicken Flavor (4. SmartBites by Greenies are delicious treats for cats with natural ingredients that offer real benefits to your cat's overall health. SmartBites Hairball Control cat treats contain Fiberblend, a formula with a special combination of plant-based fibers. SmartBites Hairball Control's blend of fibers help minimize hairball formation and promote healthy digestion. The succulent chicken flavor will leave your cat begging for more. And because Greenies SmartBites are only 1.3 calories a treat, you don't have to feel guilty about feeding these treats to your feline friend regularly. As the name implies, your cat will go absolutely crazy for the Fruitables Wildly Natural Chicken, Salmon, and Tuna Flavor Cat Treats. Featuring a crunchy exterior and a flaky interior that pleases all of his or her kitty senses, these flavorful recipes use limited ingredients recipes-which cuts down on a lot of the "junk" that is often found in cat treats. Royal Canin Veterinary Diet Feline Urinary Treats are tasty, healthy treats for cats with urinary issues. 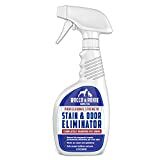 These treats support urinary health, promoting a urinary environment unfavorable to the development of both struvite and calcium oxalate crystals. They make a perfect complement to Urinary SO diets. Remember, treats are intended to comprise no more than 10% of the daily caloric needs. RCVD Urinary Feline Treats are intended for intermittent or supplemental feeding only. Founded by a veterinarian, Royal Canin has over 40 years experience in health nutrition. 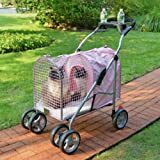 Work with pet nutritionists, breeders, and veterinarians from around the world has provided knowledge about the specific nutritional requirements of cats. 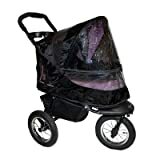 This knowledge has equips them formulate the optimal diet for your cat's special needs. For more healthy cat treats, check out Royal Canin Original Treats. 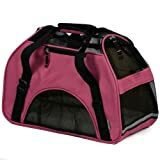 Royal Canin Veterinary Diet Gastrointestinal Feline Cat Treats are specialized treats that help support healthy digestion for cats that are currently on a Royal Canin Veterinary Diet Gastrointestinal formula. This includes the following dry and canned Gastrointestinal diets: Fiber Response, High Energy and Moderate Calorie. These treats are part of a comprehensive line of treats that are designed to support specific dietary needs to help your pet achieve treatment goals related to digestive health. You can still reward and bond with your cat even while she's following a therapeutic diet with these low-fat, highly digestible treats. It's a safe, effective treating option that's backed by science you can trust. Vetri-Lysine Plus is a highly palatable chicken liver flavored soft chew formula designed to support immune system function. Vetri-Science Laboratories' Vetri-Lysine Plus is recommended to support immune system function, collagen formation, tissue repair, antioxidant activity and antibody and lymphocyte production. The amino acid L-lysine supports hormone, antibody and enzyme production, as well as collagen formation and tissue repair. The inclusion of DMG supports methylation, providing useful methyl groups to support the production of hormones, neurotransmitters, antibodies, nucleic acids, and other metabolically active molecules. Research indicates that supplementing with DMG enhances oxygen utilization at the cellular level and supports the immune response. 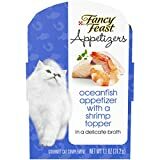 Indulge your cat's love of gourmet flavors with Purina Fancy Feast Appetizers Oceanfish With a Shrimp Topper in a Delicate Broth adult cat complement. 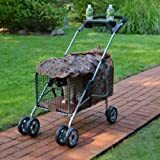 This tempting cat complement features real, recognizable ingredients that look good enough for you, but this complement is created just for your cat. The flaked texture offers something delicious for her, while the delicate broth invites her to lap up every last savory drop. Intended as a complement to your adult cat's complete and balanced diet, this appetizer offers the elevated dining experience she loves as a special treat between meals. Set aside special moments with your cat when you offer her a Fancy Feast cat food complement. She gets the decadent flavors she desires, and you get peace of mind that comes from serving her a product crafted from recognizable ingredients you know and trust. She's your special girl, and you're her world. 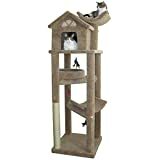 Keep that love going by ordering her this Purina Fancy Feast cat complement from Amazon.com.